You always hear about man's best friend, but what about a couple's best friend? That's what one app, Dig, is hoping to accomplish when it comes to your pet and relationships. Thursday marks National Pet Day and many are taking to social media to show off their love for their furry friends. 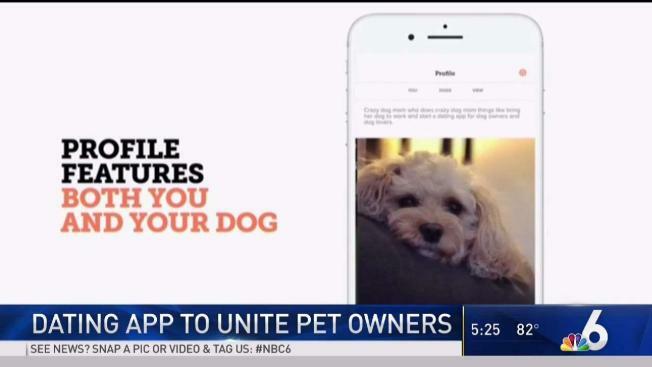 But a new app hopes to spread some love by uniting pet owners. Dig is a new dating app for dog lovers and dog owners to find a comparable match and even plan a dog-friendly date from the app. The app was founded by Leigh Isaacson and her sister on February 14th last year. The sisters who created the app say it’s all about barking up the right tree to find the right person for you and your furry friend. “55 percent of single adults in the U.S. are pet owners with dogs leading the way. That means if you’re looking to date someone, it’s more likely than not they already have a relationship in the house that you’re going to have to get along with,” said Isaacson. Not only will the app match you with dog-loving singles near you, but it will show you parks, bars, restaurants, and other places near you where you can bring your dog for your first date. The app is being launched in Miami on Thursday at an event on Miami Beach. You can click here to get tickets for the event. For more information on Dig or to get signed up, click here.